This is a fantastic emulation of the legendary ALTEC 9063B Program Equalizer. Our only addition is a simple Output Level control to adjust the overall level. 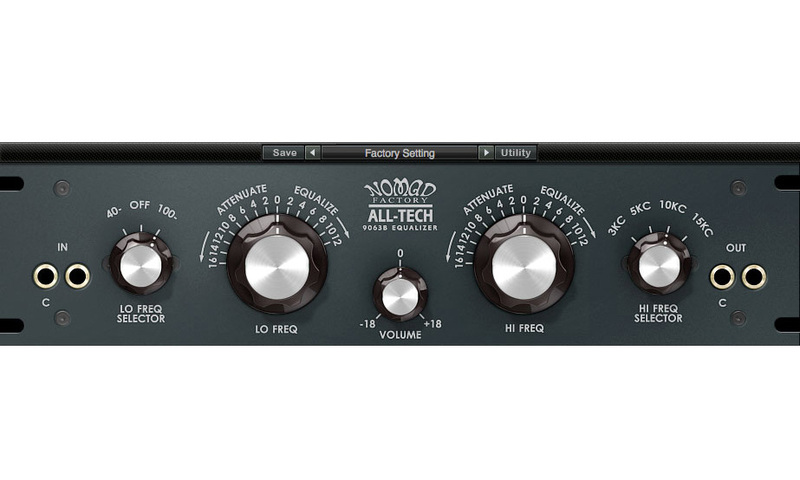 The ALL-TECH 9063B Equalizer is ideal for reshaping sounds during mixing and re-mixing, as well as for creating your own sonic signature and special effects. With its broad range, wonderful sound, and ease-of-use, this will become your go-to EQ for a variety of projects.